Forget building a custom built outdoor kitchen and make sure that your outdoor kitchen is affordable, easy to move, and can go from your patio to backyard entertaining area easily. 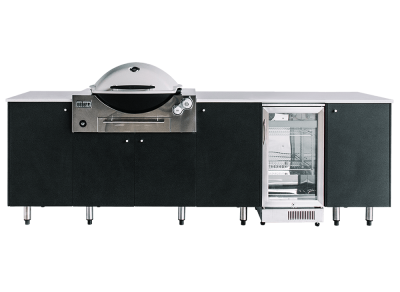 SustainaPod is Sydney siders answer to the modular outdoor kitchen design that comes in a range of designs – with one that’s sure to suit your purposes. The SustainaPod series are designed and built in Australia, which means that are carefully crafted to withstand our unique weather and UV conditions. They’re made with plenty of inbuilt storage using environmentally preferred materials. Each SustainaPod can come with options like an under-mount sink and tap, bin drawer, splashbacks, drawered cabinet, space for bar fridges, and more. Each leaves space for a particular Weber inbuilt model to slide into easily. They are available in a range of cabinet colours, such as bespeckled grey, stone, sentry, and mortar, benchtop colours, such as nero assoluto, chalkstone, and bespeckled grey. 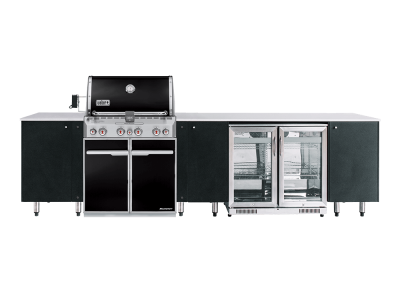 Purchase matching Weber models and bar fridges separately. Sized to fit perfectly on your patio, balcony or outdoor entertainment area, your SustainaPod can be customised with mix ‘n’ match cabinet and bench top colours. 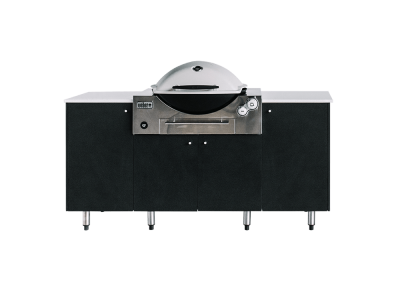 The SustainaPod Outdoor Kitchen Range is designed specifically for the Weber Q & Summit Range of Built In and Freestanding barbeques.